looks like the aluminium pedals are v6 also? You say 'you had', meaning you got rid of??? What for might I ask? Just noticed this thread for the first time. Think I'll need a pot of coffee for this one. Hi guys! It looks like I will be joining the Type R crew very soon I cant wait. 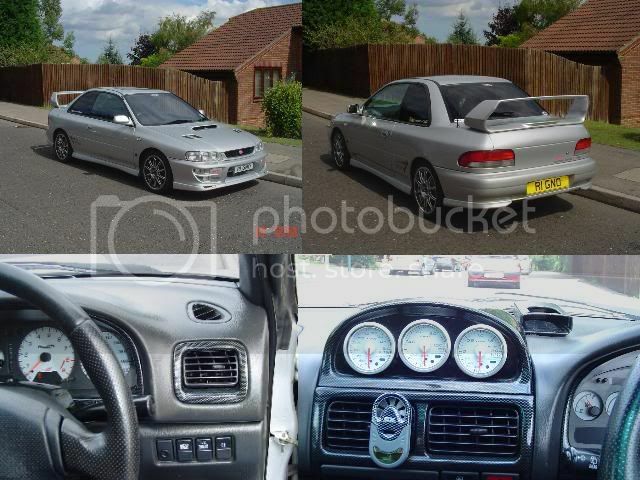 It is an STI5 Dark Grey v6 wing OZ superleggera 18's Unichiped 304bhp on low boost..
Good choice mate, get some piccies up when you do. If you could host them for me??? Last edited by Power Junkie; 10 September 2004 at 05:59 PM. Last edited by Power Junkie; 12 October 2004 at 03:11 PM. Mark, just got your mail mate, glad you got the pic's sorted. 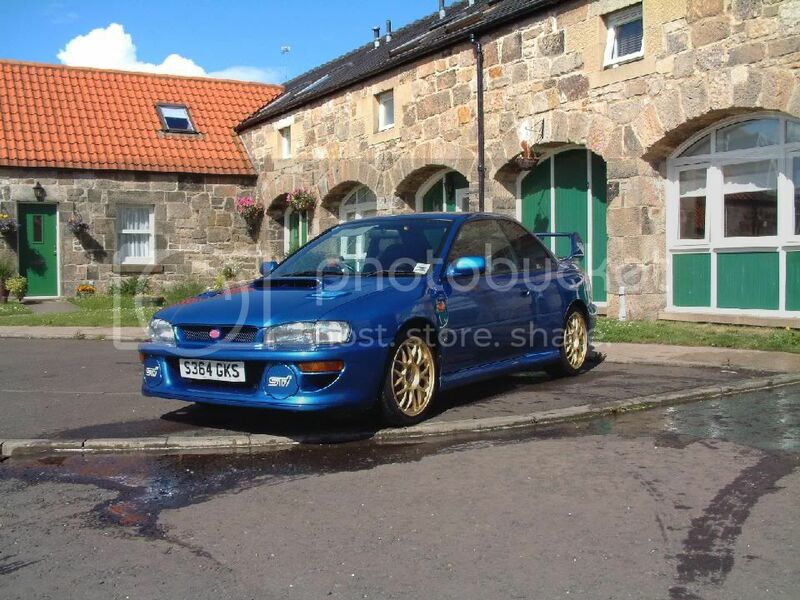 Glad this thread is still going, for the best impreza made. mine is for sale if anyone is interested!! get in touch. via the usual channels. see page one for more details. What you changing to James? Changed the 17" P1 rims to V6 Type R V-Ltd 16" Rays rims on my V5 V-Ltd Type R on Sunday as I wanted to see what she looked like. 17's need a refurb really. 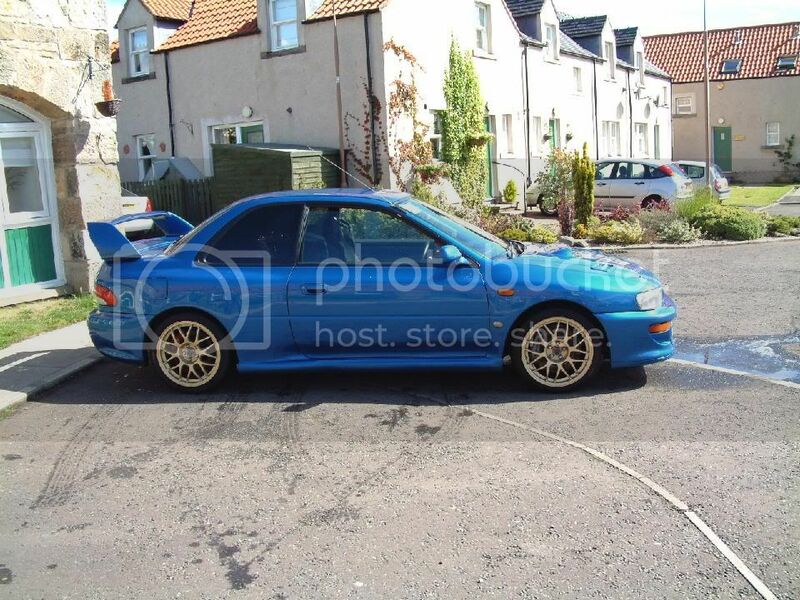 All that hot Mintex debris has taken it's toll..
Im thinking about putting Morettes on the type r. I have them on the wagon but might take them off before she goes to a new home.. Anyone got them on a Cool Gray?? 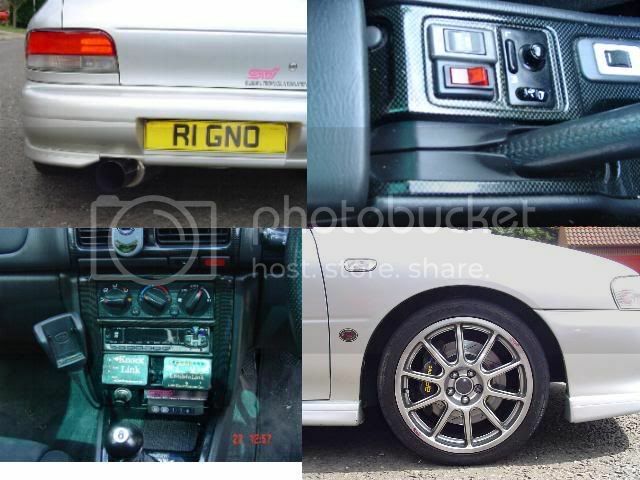 I'd put them on the Type R mate, they make it look so much more agressive...if thats possible , and their alot better than the factory set-up. 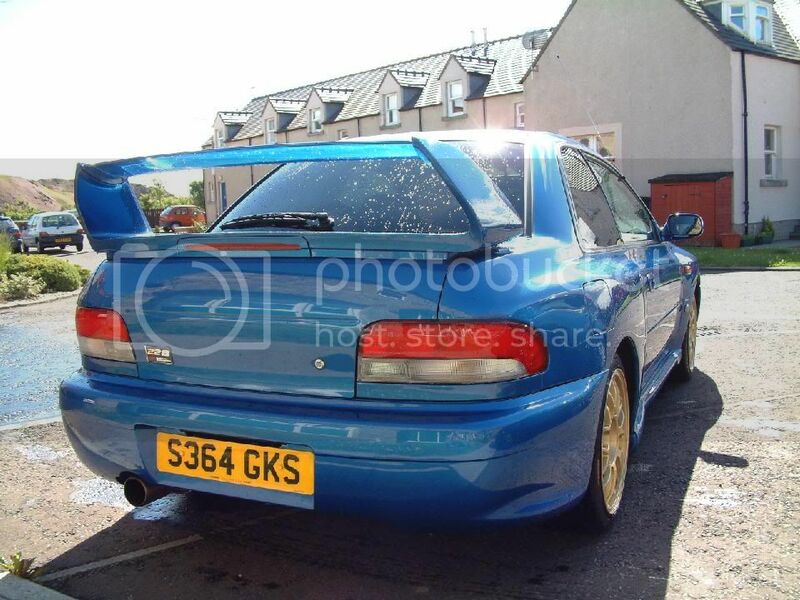 im toying with the idea of a 22b, or something along those lines, need to sell mine though. 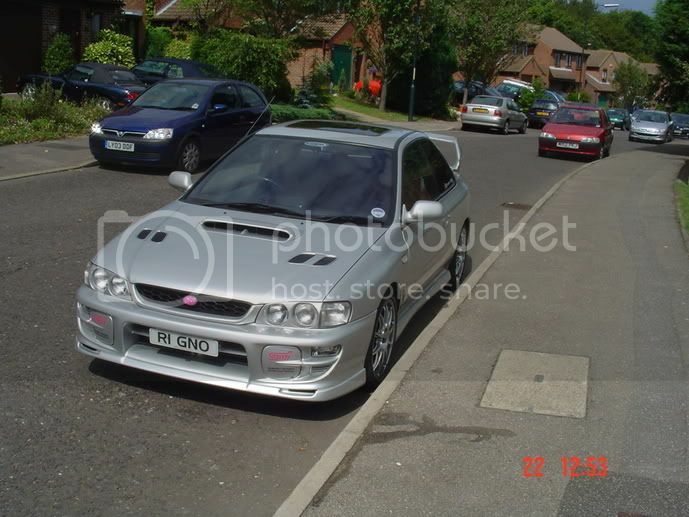 any ideas on how best to sell it, all i get from autotrader is people offering me an internet service for £79.99!! I'd advertise it in Top Marque mate, there's always some gems in there, a bit more expensive to advertise than the Auto Trader, but your reach the desired market. Have you tried advertising on here?? I notice you've changed the seats, scoobidude, are they out of a P1? Thanks Housequake. All changes were carried out by previous owner. And yeh, seats are P1. Anyone using different rear disks??? I have the Godpseed 335mm front set up and want something to match the rear, anyone using different disks/pads? I'm looking for drilled and grooved disks but they are a different size because of having no ABS. I thought it was time for some updated arty shots. Ill do some underbonnet shots with the big intercooler this weekend. Last edited by Hol; 21 September 2004 at 09:51 PM. 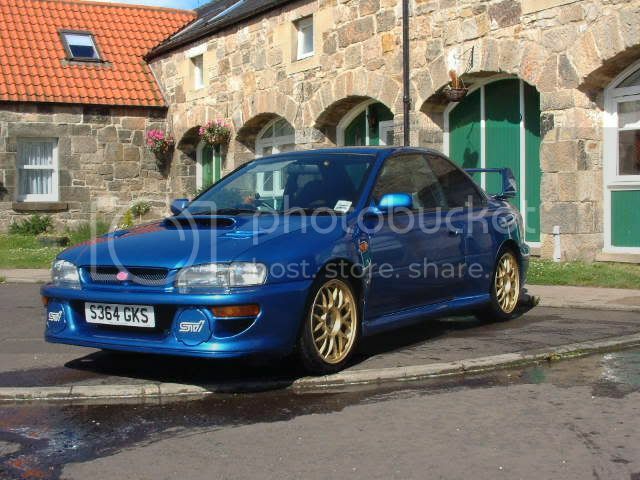 Looking for some videos with type R sliding (gravel, snow, dry or wet tarmac). 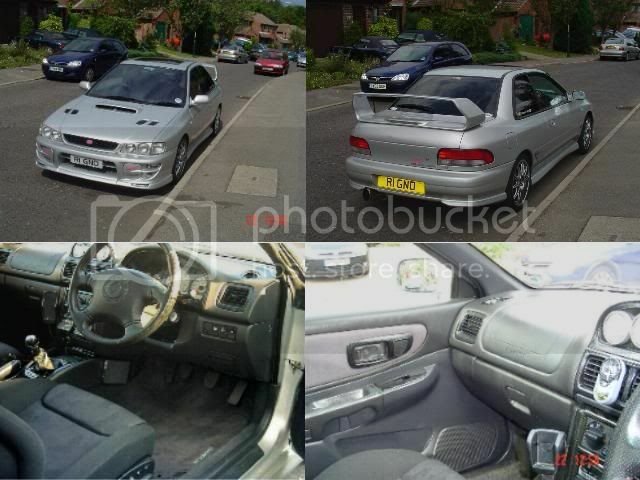 I got yesterday Type R parts an will built gearbox and differentials into my STi wagon. Last edited by Power Junkie; 22 September 2004 at 07:28 PM. Look a few pages back, Peccy should have posted some of his stunts on here.